Wash the spinach, but allow the water to cling to the leaves. Cook the spinach until it wilts in a skillet over medium-high heat, about 3 minutes. Heat the oil in a skillet over medium-high heat. 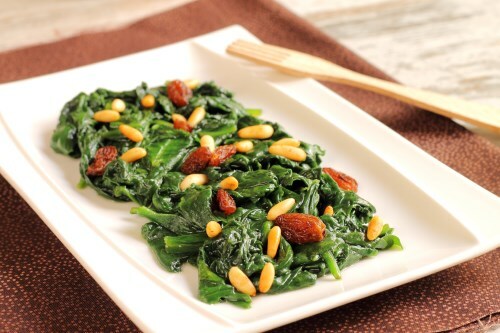 Add the spinach, pine nuts, and garlic and cook for 2 minutes. Season with pepper and serve.